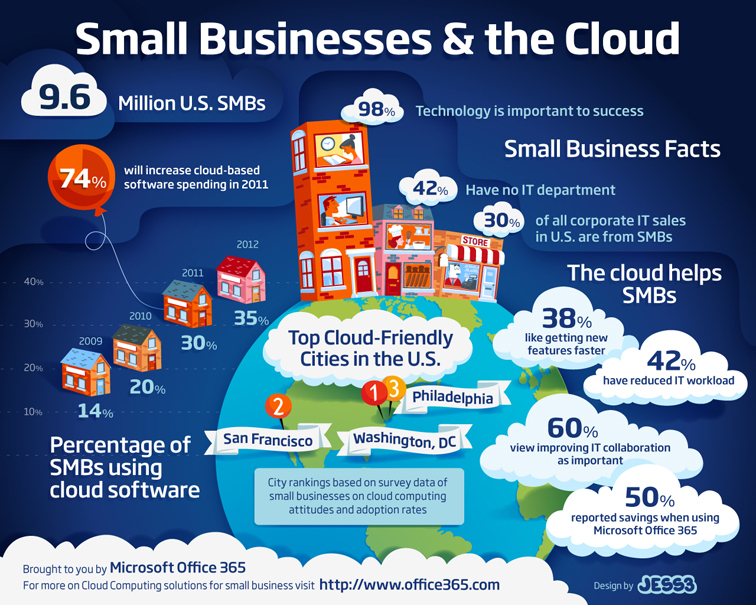 In an earlier blog post we announced that Microsoft has issued SMB Plans for Office 365 – it’s cloud computing offering. It is not immediately obvious that higher bandwidth Internet connections are crucial when it comes to Cloud Computing. Fibre to the Cabinet means that B.T. has installed fibre optic communications to the cabinets in the streets. The connection from there to your home or business is still copper wire. This service is available to Home and Business users in Dorchester and Poundbury. As always it takes time to roll out these high bandwidth services to homes and businesses that are in the country. However at Poundbury Systems we are adept at finding innovative solutions to provide high bandwidth services to remote properties ( please call us to discuss ). ” On Premises ” i.e. typically in a little ” computer room “. Now the ” servers ” can be ” in the cloud ” or at Microsoft’s highly secure, highly available data centres located at various places around the country and the world. As you can see the advantages include: Improving IT collaboration, making savings, reducing IT workload and getting new features faster. The correct use of technology is very important to Small and Medium sized businesses – basically it enables them to provide services that are as good or better than big companies at lower cost. Most small businesses don’t have and don’t want to build up ” IT Departments ” . They would rather ” outsource ” this function to someone like Poundbury Systems. If your servers are going to be ” in the cloud ” then you need the best, highest bandwidth, most stable connection you can get. It is one thing to be running ” data ” applications across ” the Cloud ” , it is entirely another to be running voice ( telephony ) and video ( eg conferencing ) applications across ” the Cloud “. Voice and video applications take up much more of the bandwidth available than do data applications ( typically ). We will find out what applications you are running and determine bandwidth requirements to migrate to cloud services. As we have our own Internet network we can provide the right size and type of ” Internet pipe ” for you. or CALL Clare on 01305 259849 to discuss your requirements further.